Kirk Stange and Stange Law Firm, PC are proud to announce that they have agreed to sponsor the Board of Advocates at the University of Missouri-Columbia School of Law. Saint Louis, MO, February 19, 2018 --(PR.com)-- Kirk Stange and Stange Law Firm, PC are proud to announce that they are sponsoring the Board of Advocates at the University of Missouri-Columbia School. On February 22, 2018, Kirk Stange will be inducted into the Law Society at the University of Missouri-Columbia School of Law for his support of the Board of Advocates. The Board of Advocates is an organization that promotes oral and written advocacy at the University of Missouri-Columbia School of Law. Through various moot court competitions, law students are able to hone their skills to become better advocates for clients. 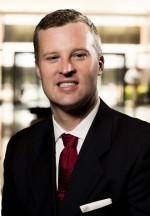 St. Louis, Missouri divorce lawyer Kirk Stange became a member of the Order of the Barristers at the University of Missouri-Columbia in 2000 for his participation in the law school's moot court programs. Out of all the law students graduating in 2000, only 10 law students were admitted into the Order of the Barristers. Kirk Stange also served on the Executive Board of the Board of Advocates where he helped run the Fall Moot Court Competition in 1999. Throughout his career, Kirk Stange was able to use the courtroom advocacy skills he used to represent clients in Clayton, Missouri divorce law matters in St. Louis County. When Stange Law Firm PC began, it began as one office in Clayton, Missouri. The firm now has 18 locations throughout Missouri, Illinois and Kansas in matters involving divorce, child custody, child support, paternity and other domestic relations. LawFirm500 ranks Stange Law Firm, PC as one of the 100 fastest growing law firms in the country in 2016 and 2017. The confidence Kirk Stange gained through the Board of Advocates was instrumental in his career. Divorce and family law matters are important legal matters in St. Louis County, Missouri and beyond. The impact of these cases can be long-lasting for the clients and the entire family. Stange Law Firm, PC also has St. Louis City, Missouri Divorce Lawyers. For more information about Stange Law Firm, PC call 855-805-0595. Note: The choice of a lawyer is an important decision and should not be based solely upon advertisements. Kirk Stange, 120 South Central Avenue, Suite 450, Clayton, Missouri 63105.